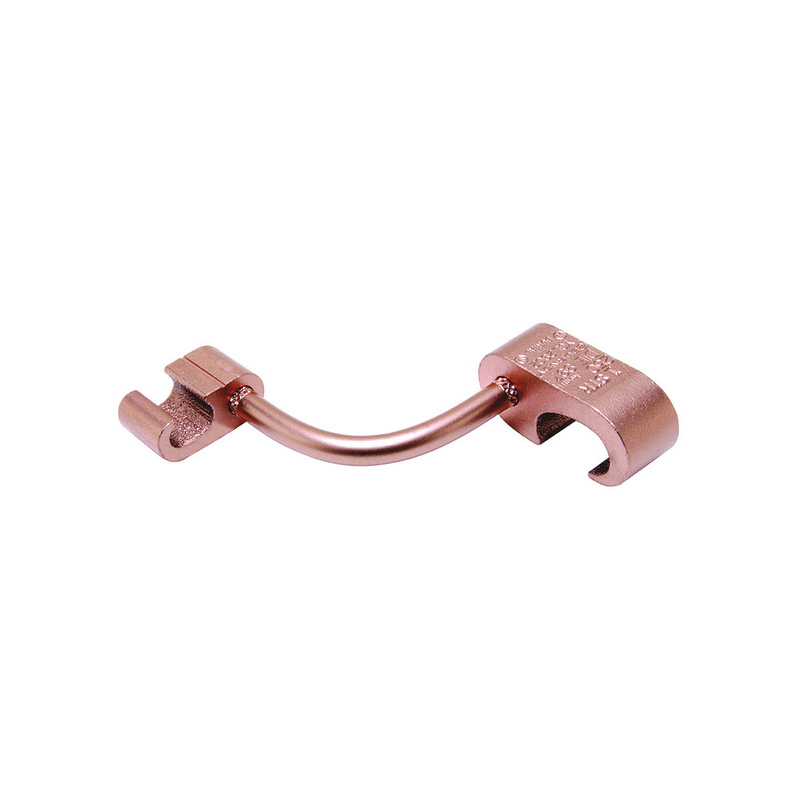 Burndy Hyground® Hygrid™ YGL-C Series Direct burial compression cross grid connector has copper construction for good conductivity and durability. This 2.5-Inch connector allows to connect element A-1-AWG-250-KCMIL stranded conductor to element B 6-2-AWG solid stranded cable to cable conductor. It connects element A 1/2 to 5/8-Inch rod to element B 6-2-AWG solid stranded conductor and 3-4-AWG rebar. This cross grid connector meets UL 467 IEEE 837, CSA and RoHS standards.